When people struggle to grasp an anomaly, it manifests as a paranormal interaction for some, while providing entertainment for others. Such is the case with the Ouija board. 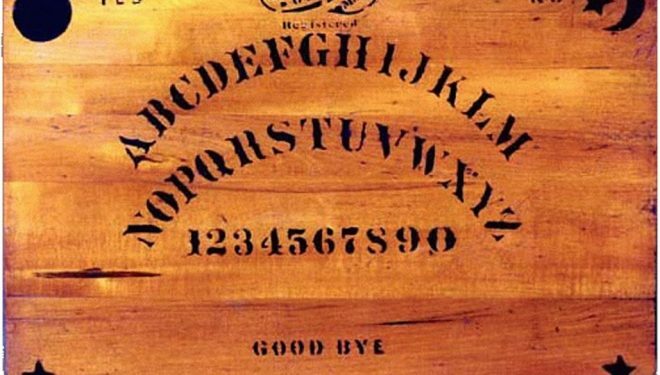 The classic game consisted of a wooden board printed with the letters of the English alphabet, the numbers 0-9, and the words “yes,” “no,” and a convenient “goodbye” so the spirit could exit politely, and a planchette for players to grip while they summoned a spirit to move it in response to their questions. The creators of Ouija believed it was capable of paranormal contact, and the Patent Office confirmed it had been proven to work. Even the origins of the name derived from the paranormal as one of the investor’s sister-in-law asked the game what it wanted to be called, and the board reportedly spelled out O-U-I-J-A, and then replied G-O-O-D L-U-C-K when they asked the meaning of the name (1). Whether you were permitted to play as a child or endured any of the countless horror films where it was the center plot, Ouija is a household name and an alleged doorway to the spirit world. An ongoing debate has surrounded it since it first hit the shelves of a Pittsburgh novelty shop in 1891: Do users communicate with dead spirits (or worse—Insidious, anyone? ), or is it trickery of the mind preying off the gullibility of willing participants? The answer is two-fold and more technical than you might think. Skeptics eyed the phenomenon for years wondering how two or more users could place their hands on a planchette and all agree something supernatural moved it. The same question troubled Marc Andersen, Ph.D., and his research team from Aargus University in Denmark, prompting them to conduct an in-house experiment with forty willing participants (both skeptics and die-hard believers) at Ouijacon in 2015 (2). 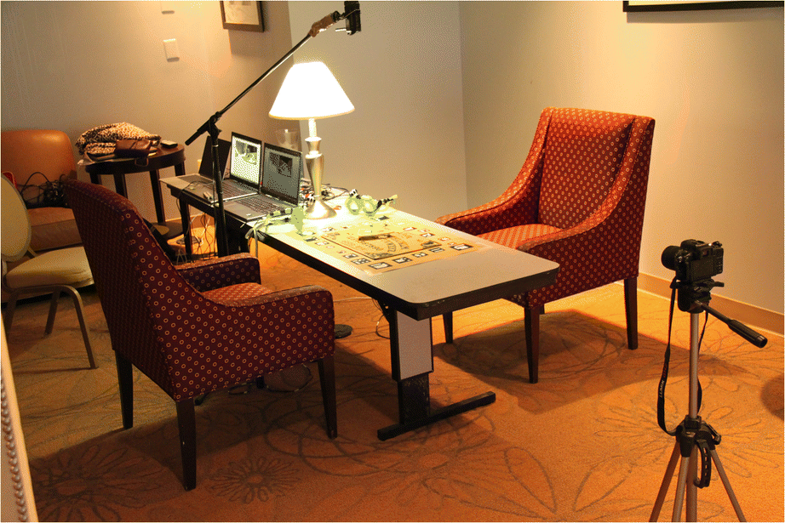 Andersen’s testing consisted of two versions of the game played both individually and as a pair, and each participant wore mobile eye trackers for the duration of the tests. The first round’s task was simple: spell out the location of the convention, Baltimore. Round two was business as usual where participants asked whatever they wanted of the board. These rounds were completed as individuals and groups. After the test games, Andersen’s team interviewed the participants to assess if they felt the presence of a spirit pushing the planchette around, if it seemed more like the other player instigating, or if they admitted to guiding it. Answers from believers all surrounded supernatural interventions while the skeptics claimed it was mostly the other player pushing the planchette and occasionally themselves, though they didn’t understand why (2). Those responses alone may sound like a dead-end, but that’s where the eye tracking devices come in. When the participants played the first game and spelled out B-A-L-T-I-M-O-R-E, their eyes naturally searched for the following letter and guided the planchette to it with hardly any hesitation. However, without a specific word suggested in round two, they struggled to predict the first few letters. As the letters accrued and started to bloom into possible word choices, their eyes flicked faster, and they once again predicted the next letter with ease. Andersen’s team also noticed individuals “exhibited significant difficulties in predicting which letters would be ‘picked’ by the planchette” when compared to the collective efforts of the pairs. Regardless of speed, all the tests revealed a common thread known as the ideomotor effect. The principle behind this psycho-physiological action is that humans are subconscious problem-solvers and will do so without making the cognitive decision to solve the problem (3). We want to work to find answers even when we aren’t aware of it. In the case of the Ouija board, our will for a certain outcome directs the movement of the planchette, and our hands react to that subconscious message, and we start completing a word. To put it another way, we just don’t register a sense of agency when moving the planchette, which prompts uncertainty and implies an outside force influences it. The eye tracking device coupled with the ideomotor effect confirms the second takeaway from Andersen’s study: the correlation of belief and a disconnected sense of agency. The interviews confirm nearly all participants who took the tests with a pre-disposition to believe in supernatural contact reported that the planchet moved by itself. The skeptics, on the other hand, reported either the other player or themselves as the instigator of the planchette movement. A distorted sense of agency is the culprit of the varying views and made the believers more susceptible to the idea of a spirit communicating through the planchette. This concept is nothing new, and people tend to develop an early bias towards the supernatural to make sense of unexplainable events. According to Jordan Grafman, Ph.D., neuroscience research shows how our brains are actually “primed to believe” and fill in the unknown (4). Those who felt the presence of a spirit in Andersen’s study simply believed it and wanted it to happen, and this led to their detached sense of agency. Is the Ouija board just a hoax? Many people have attested to supernatural interactions with loved ones who’ve passed away, hints of events to come, and even frightening demonic encounters (5). Unfortunately, none of those have been thoroughly documented or supported by witnesses and are therefore unverifiable. The truth of it all depends on how you look it at it. 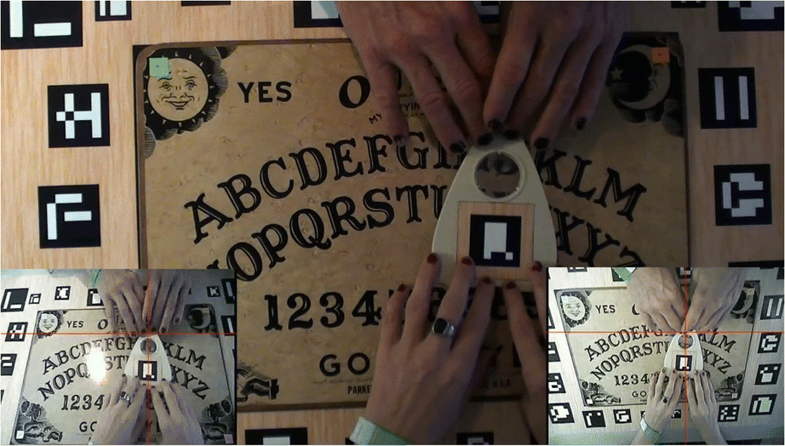 Andersen’s team confirmed the players were the ones moving the planchette, whether they realize it or not. Still, the ideomotor effect establishes a muffled sense of agency and creates a collective movement of the planchette that feels eerily like a spirit is taking the wheel. People who enter the game as believers, or at least with an open mind, are going to have a mystical experience. The Ouija board was patented in a post-war society where death rates were high and lifespans short (1). Spiritualism was a way to get closure and connect with departed loved ones, and the Ouija board fulfilled this need by becoming a vessel fueling the belief in the supernatural and giving hope to life after death. It was a comforting thought then, and it still is today. 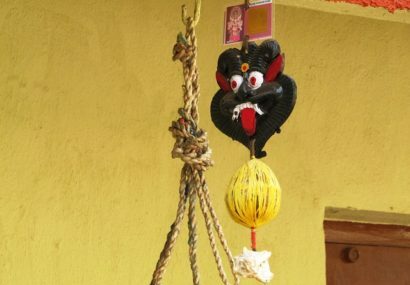 While supernatural interactions through the Ouija board may not yet be scientifically verifiable, belief is a powerful force and an inherent need in most people. Ouija will likely maintain popularity despite recent findings, and continue to provide entertainment to some and spiritual connection for others. Perhaps, one day, we might discover it’s capable of much, much more.